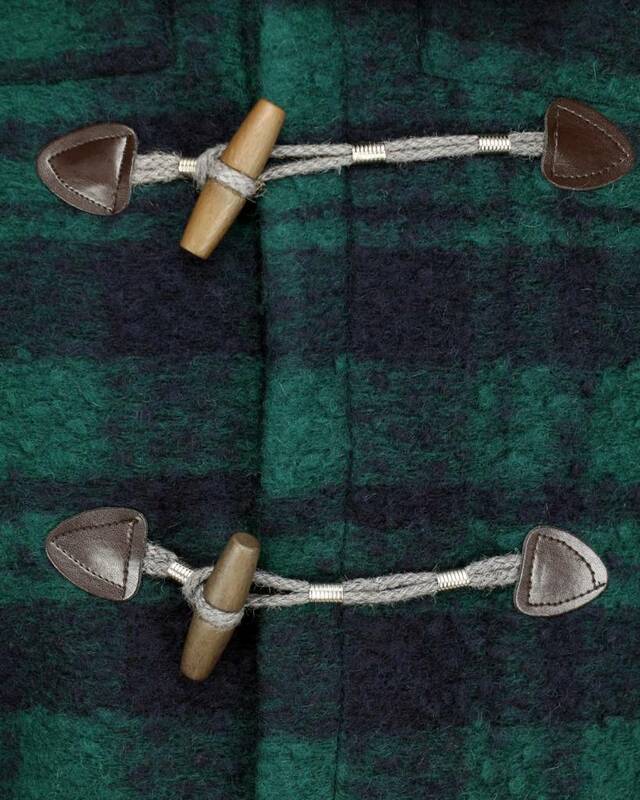 Stylish woolen duffle coat with wood-string closure from Wool & Co. 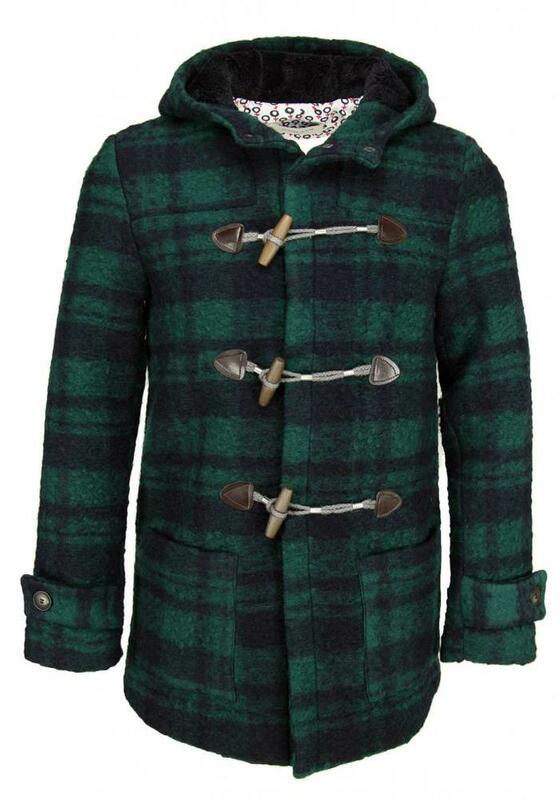 The coat has a classic green with blue tartan pattern. 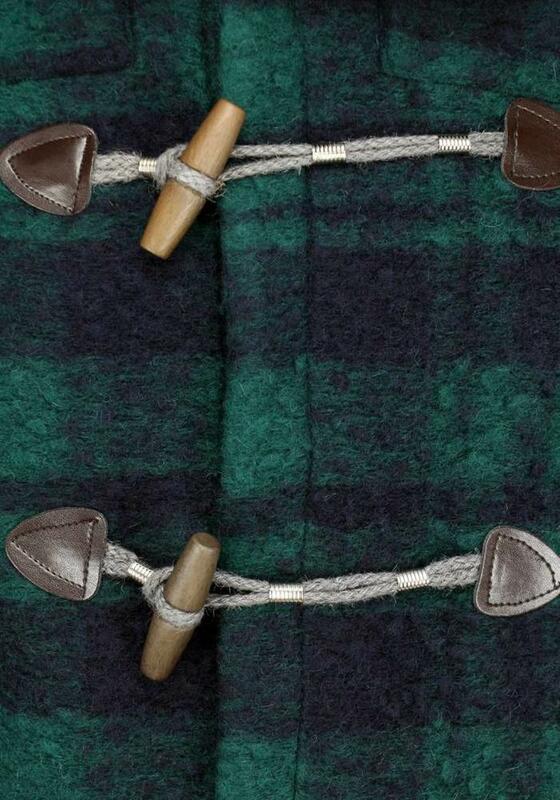 The coat's length is just below the hips. 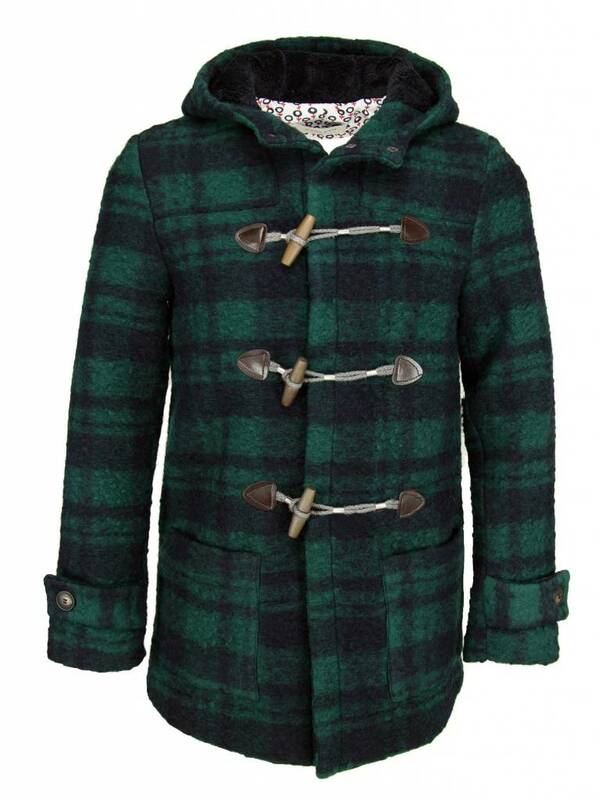 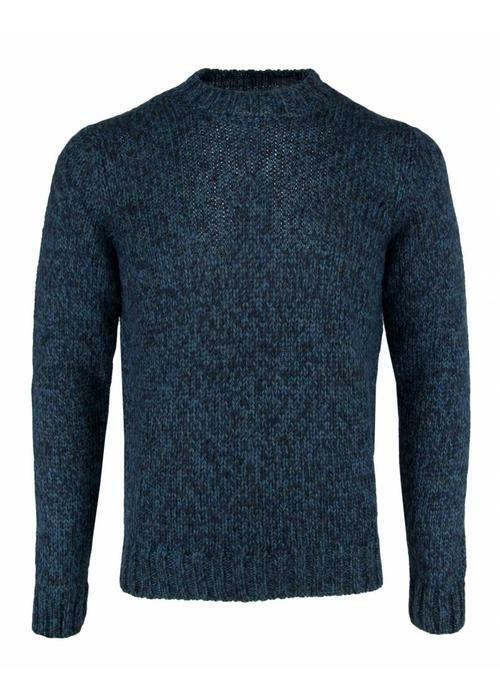 This woolen men's jacket is not very thick and is therefore comfortable to wear with a thick sweater underneath or in autumn. 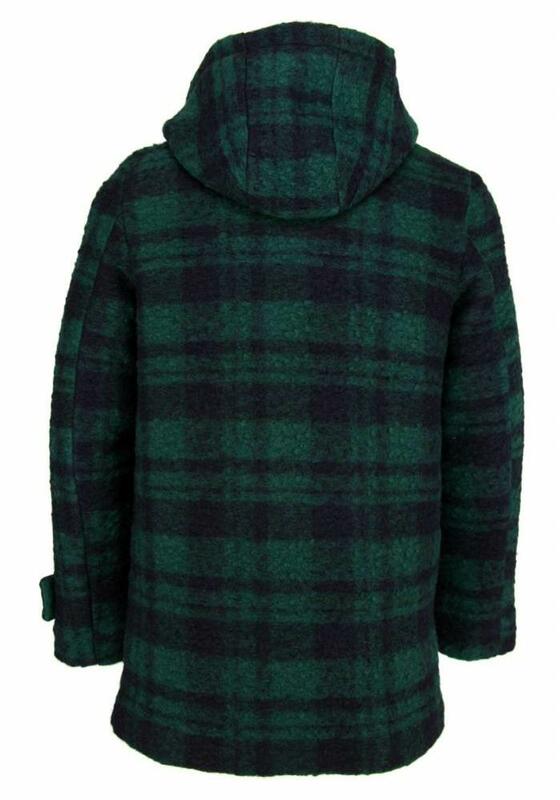 Combine the coat with a nice cable sweater, jeans and cheeseaboots for a beautiful autumn outfit! 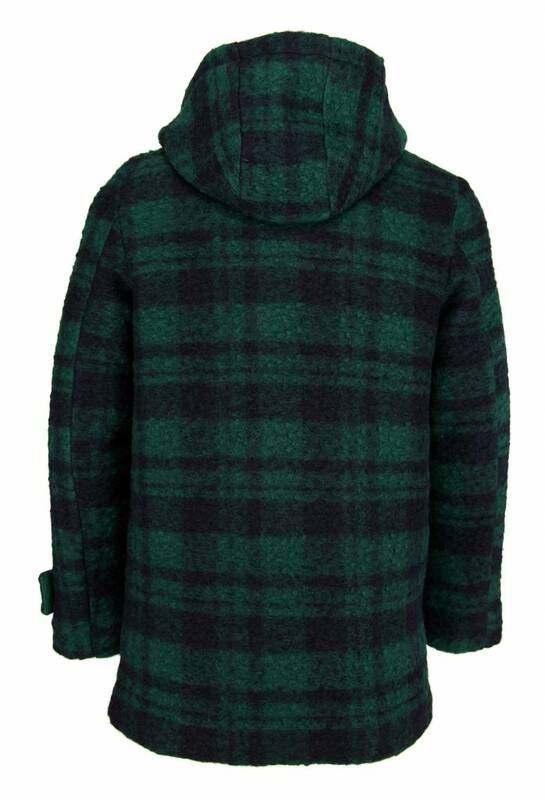 This Wool & Co winter jacket is made of 60% wool, 35% polyester and 5% other materials.